Welcome to our restaurant at the corner of Zapiecek and Piwna Street. The Zapiecek Restaurant is a romantic place situated in the Warsaw’s Old Town. 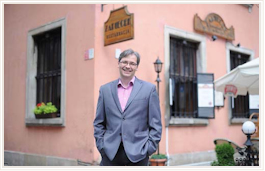 It is perfect for enjoying Polish traditional cuisine that is both healthy and based on natural products. The restaurant’s menu can offer our clients a variety of gluten-free meals. The Art Nouveau interior of our restaurant creates a special atmosphere for a quiet meeting in a narrow circle and a grand wedding reception or banquet as well. Zapiecek Restaurant is a must-visit magical place situated in the vicinity of Warsaw’s Mermaid Monument, the Royal Castle, The Old Town Market.